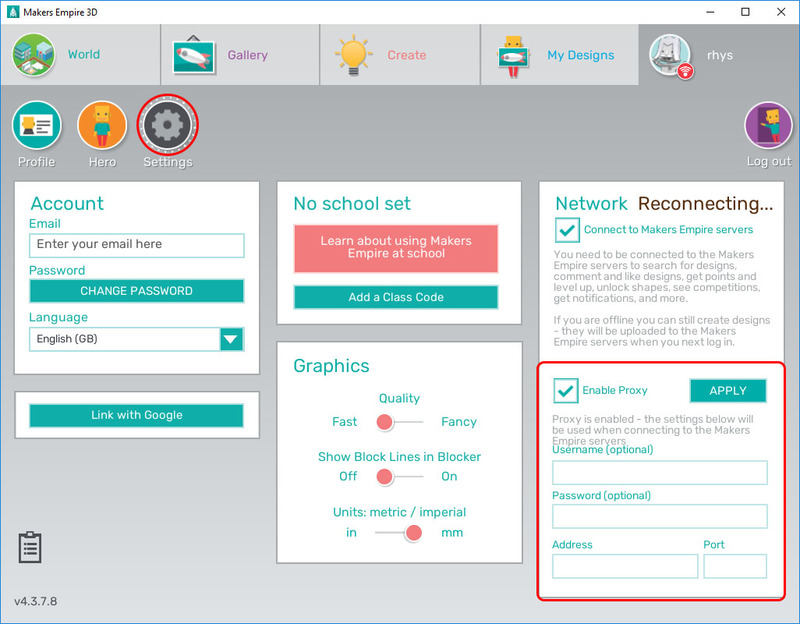 If your internet connection goes through a proxy server (as is the case in many schools), you may need to supply authentication details to the Makers Empire 3D app in order for it to connect successfully to our servers. This information can be supplied directly in the app by the user or set up for all users of the machine. 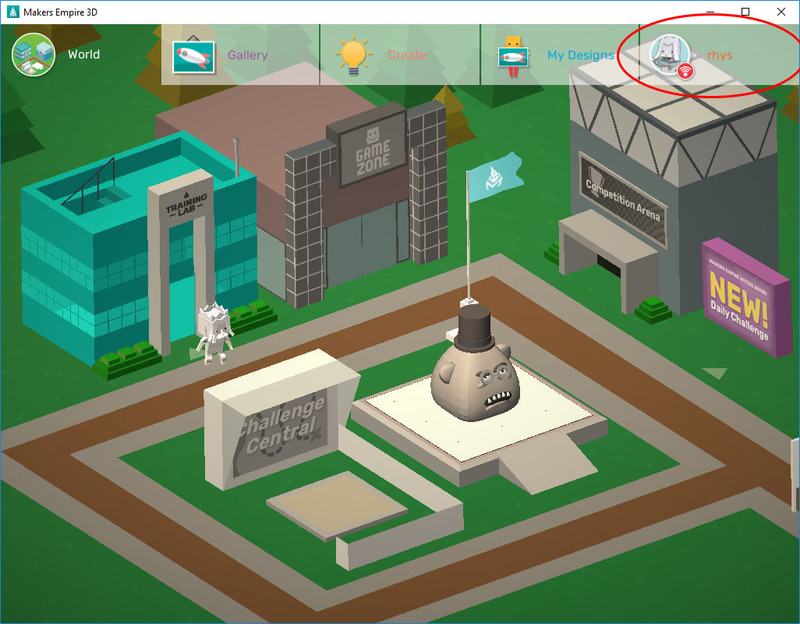 Usually it is best to go through the in-app process described in this article once to verify the details are correct and then set up all machines afterwards. 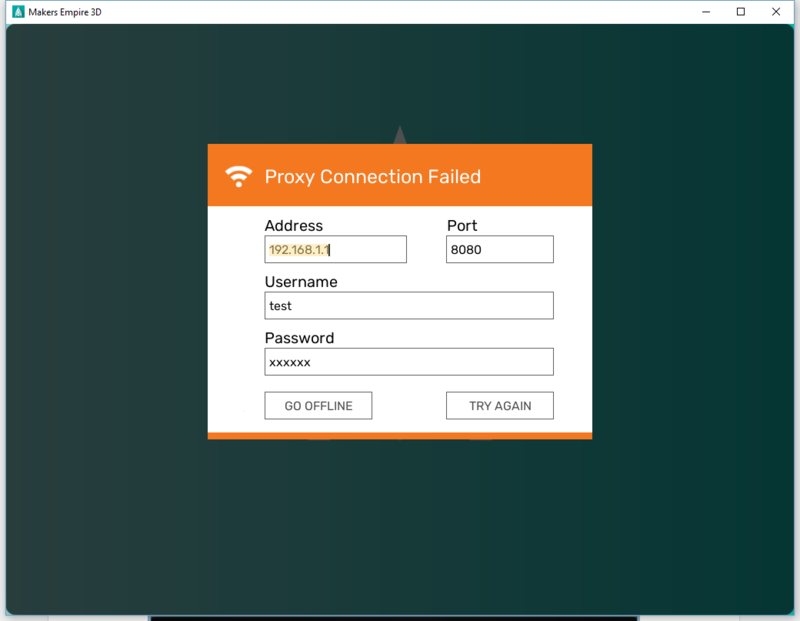 If you do see this screen, please ensure the proxy details are filled out correctly for your internet connection, then press TRY AGAIN. Fill out the details for your internet setup, then press APPLY. If you see the message as shown, please contact us for further assistance. Username: the username used to log in to the school computers with, including the domain (E.g. myw\username). Username: the username used to log in to the school computers with, including the domain (E.g. edu001\username).